In this introductory article, Parcel’s creator explains how it solves key problems with existing bundlers like Browserify and Webpack: performance and complex configs. A perennial topic, but Dr. Axel has an interesting take on it that might clarify your thinking on how the this keyword works. Two and a half hours of new (beginner and advanced) React material are now available for free on Egghead. Your solution for modern charting and visualization needs. 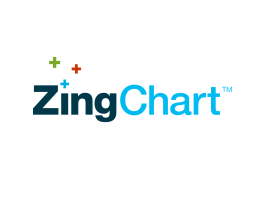 ZingChart is fully featured, integrates with popular JS frameworks, and has a robust API with endless customization options. Get started with a free download. The latest (minor) version of Angular is here, plus Angular CLI 1.6 and the first stable release of Angular Material. Not ready for Parcel (above)? Here you can learn the basics of Webpack and how to configure it for your web application. Curated by Peter Cooper and published by Cooperpress.